In Mauritania, the provisional results of the legislative, regional and local elections held last weekend were to be published on Tuesday by the National Independent Electoral Commission (CENI). Yet, the first indications show the results are favorable to the ruling party, the Union for the Republic (UPR), followed by the Islamist opposition party Tewassoul. The ballot is considered as a test for the UPR, one year before the 2019 presidential election. The opposition suspects incumbent President Mohamed Ould Abdelaziz will seek a third term next year, despite the assurances he gave that he would not. On Monday, the coalition of six opposition parties claimed major breakthroughs, particularly in the capital Nouakchott, where several candidates of the UPR will have to go for a second ballot in most municipalities. “We are leading in almost three of the eight communes,” said Mohamed Jemil Ould Mansour, head of the Coalition for Leadership of the Capital Regional Council and former president of Tewassoul. For his part, the vice president of the UFP (Union of Forces for Progress) opposition party, Lo Gourmo Abdoul, one of the opposition candidates in Parliament, assures that the ruling party goes to the second round in most cities, including Nouadhibou and Zouerate. Voter turnout was also a test for these elections, where some 1.4 million Mauritanian voters were to elect a new 159-seat parliament, 13 regional councils and 219 city councils. 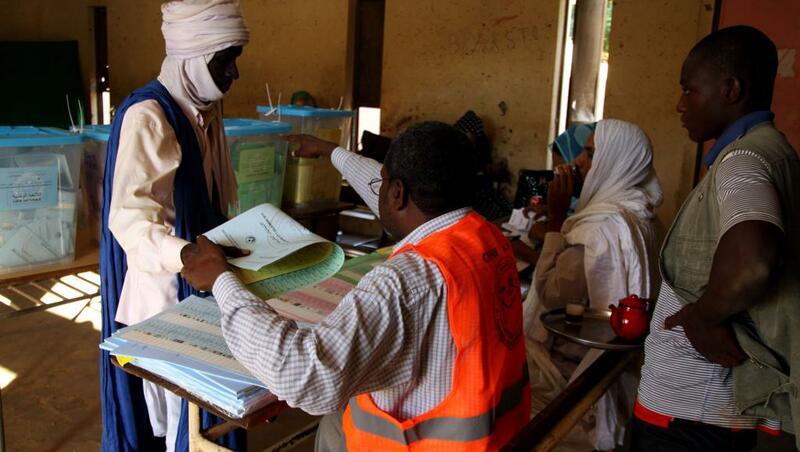 Although several Mauritanians boycotted the polls, some news agencies reported a high voter turnout in a number of polling stations in Nouakchott. Meanwhile, the opposition denounced Saturday important problems in terms of organization. Some voters, in particular, had trouble finding their polling station, which had been moved at the last minute. The polls were held in the absence of international observers, with the exception of observers from the African Union. Posted by Khalid Al Mouahidi on September 4, 2018. Filed under Zoom. You can follow any responses to this entry through the RSS 2.0. Both comments and pings are currently closed.